This past few weeks have been kind of busy. So all this running around hasn’t stop me from reading but it has from writing. In this weeks of absence I finish three marvelous books, two from my favorite mexican author Carlos Fuentes and one by the nobel laureate south African author J.M. Coetzee. 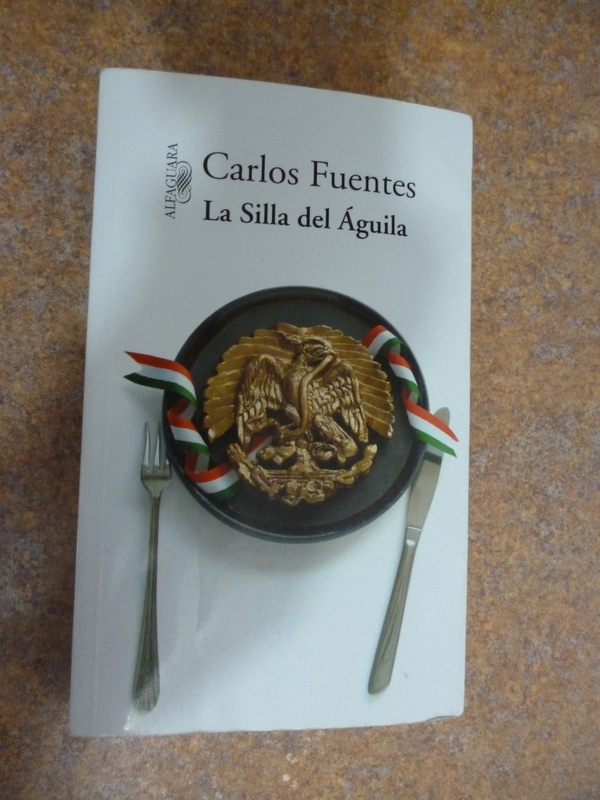 The first of Fuentes book was “La silla del águila” set in the year 2020, the United States had left México in a communication darkness, no phones, no e-mail, no internet. So all the politicians have to communicate through letters and does so breaking one of their cardinal rules, don’t leave any written evidence of your little scams. Full of backdoor deals and double face characters, the stories take you on a wild roller-coaster ride that will only end up with someone sitting in the coveted “eagles throne”. As most of Fuentes book is timeless and a sharp criticism of the way our country is manipulated by a small group only for their benefit. The second novel was the last this great author ever publish, has we lost him in may of last year. 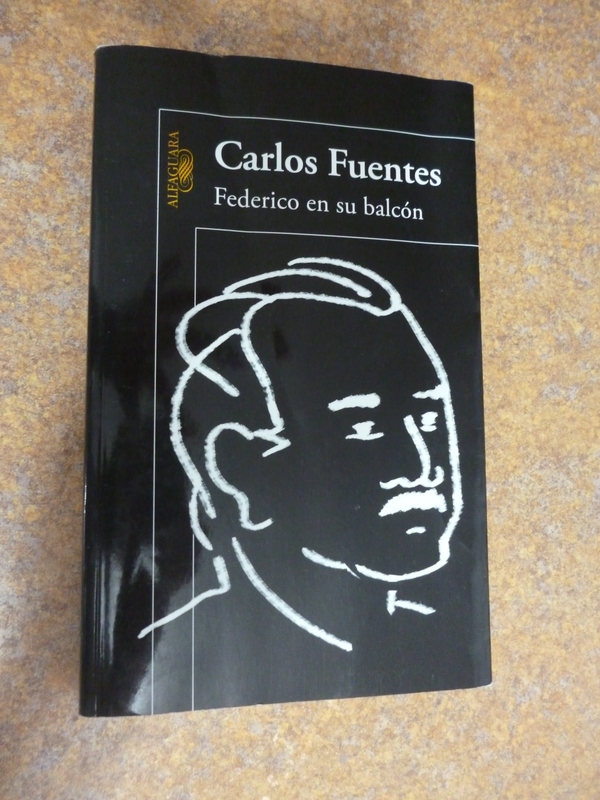 The book “Federico en su balcón” was intented to be presented in the International Book Fair of Guadalajara in November by the author, but as before mention, he sadly past away some months earlier. The book revolves around the figure of Friedrich Nietzsche as he stands in the balcony of is hotel looking as the world runs its course suddenly he starts a dialogue with he next door neighbor. Between them a complex story is spun, a bloody revolution where it’s characters are sort a rhetorical form of Nietzsche and Fuentes, almost an autobiography, where the story may unravel in any period of history. For me you can see echoes of other classic characters of Fuentes. Full of symbolism and hidden meaning I think this one will have to be read at least a couple of times. From lying in school about being catholic to feeling guilty of being white in an African country. To me this is an remembrance of the authors own past, a past that somehow got forgotten a long time ago and was resurrected in a complex and lyrical book. For a couple of months now downtown El Paso has been the setting for a successful “Last Thursday” art walk with various restaurants and art spaces taking part. According to a report in El Diario, a local Juarez group is expanding the event internationally, and tomorrow night will have the first opening at three locations here in Juarez. The group is named BAZART and according to spokewoman Brenda Ceniceros (whiose installation at CUDA I recently reviewed) the shows will open simultaneously at Asenzo, Alquimia Pizza and El Garces with skype connection linking all three venues. They are hoping to make this a truly international event, expanding the dialogue between the two cities as well as delinking the art from the control of more traditional instutions. More power to them. The first book written by José Saramago in 1952, but the last he publish, posthumous. when he was already an acclaimed author. The story revolves around a building in Lisbon were the many lives of its very particular residents becomes to unravel. Through jumping from apartment to apartment in each chapter we can see tiny worlds forming in each house all of them with their internal wars and blissful moments. Full of wit, tragedy, longing, the very worldly necessities of their every day lives, Saramago explores what became the omnipresent theme in all his novels, the beauty and hideousness that is the human condition. His clear and powerful voice is already there, lazed with beauty and grace we become witness to the birth of one of the most illustrious literary genius of this century. For my money it is the second best novel I have ever read by the master Saramago second only to “Ensayos sobre la ceguera”. So that’s 10,140 pages down, 39,602 pages to go.